“Even though parent-child relationship at the beginning may be powerful and fully nurturing, it can become undermined as our children move into a world that no longer appreciates or reinforces the attachment bond.”- Gordon Neufeld, Phd., Child Developmental Psychologist. It’s the first day of preschool, and likely the first biggest separation in the life of a little child. He cries his lungs out. His world comes crumbling down. He looks at you with watery eyes and clings onto you tightly like a koala bear as he begs you not to leave him behind. If this scenario sounds familiar, you are not alone. Resistance from the child to get out of the comfort zone of his parents’ care is not only normal but also a healthy reaction from a securely attached child. As much as parents would like their toddlers to get out, face the new life and take the leap towards independence, insensitivity to the transition can be damaging to the parent-child connection. Even though a little child does not have the language ability to articulate his fears and worries as he faces separation from his parents, his unmistakable bitter protest says it all. In an ideal world, heart broken parents would wait long enough until he is fully ready to face the whole wide world confidently. Unfortunately, real life generally does not offer such convenient, mind-appeasing flexibility. Solutions exist to alleviate the pain and preserve the strong bond between parents and the little one. Getting the child to the right preschool that is play-driven and developmentally appropriate will help reduce the potentially profound damage caused by the traumatic feeling of being abandoned. The transition from home to school can indeed be risky as research has shown that childhood anxiety disorder is an increasingly common type of psychiatric problem. As parents, we can also mitigate the child’s anxiety by preserving the emotional intimacy and strengthening the attachment. For example, as we leave him in school, replacing “goodbye” by “see you soon” with a brief description of the upcoming activity such as “we will go to the playground right after” will get the child focused on the next connection with the parents. Likewise, instead of rushing to the door and letting the child face the sadness alone, allowing him to safely rest his tears in your arms will reassure him that he still matters to you as much as before. To provide greater comfort and make the separation more bearable is to give the child a family photograph, or a special accessory such as a bracelet or a keychain for him to hold on to once alone. Helping the child identify with his parents visually with the same top, bag, socks or shoes can also reinforce his sense of belonging. More often than not, these types of reaction are simply dismissed as willfulness from naughty kids labeled as “spoiled brats”. Little do most parents realize that such reaction is just a reflection of the child’s inability to control the intense anxiety separation generates. In the mind of a little child, he needs to feel the unconditional love and experience the constant security of his parents’ presence. Pushing away the child too hastily without protecting his feelings and safeguarding the attachment can be potentially harmful to the relationship. Holding on to the child is not about shaping his behavior but about engaging their attachment instincts and preserving the natural hierarchy. 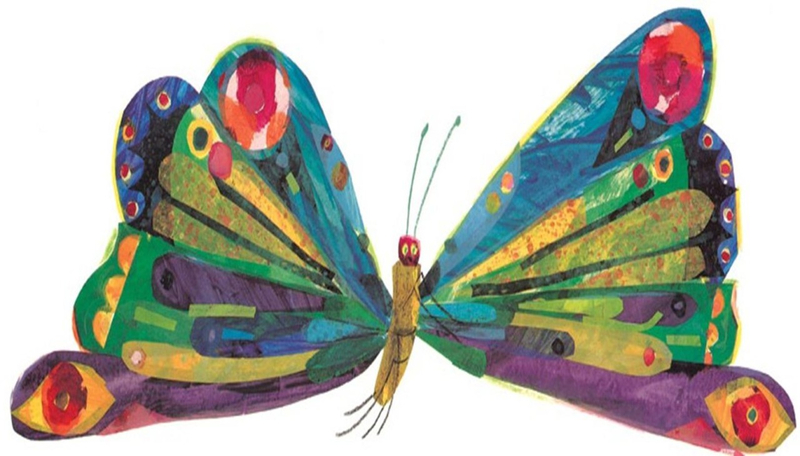 Like the Hungry Caterpillar, every child will soon shed its home cocoon and blossom into a beautiful butterfly. The deeply entrenched attachment that is built in every child is precious and sacred. No matter what the child is going through, the psychological umbilical cord needs to be preserved as we carry him through different stages of life. Sandy Le Berre on To Sleep Train Or Not To Sleep Train? Jessica Smock on To Sleep Train Or Not To Sleep Train? Journey of a Spoiled Mum Copyright © 2019.